I mailed out Sophie’s fourth care package on Thursday. The first one was mailed right after we received our pre approval and I have had the best time collecting goodies to send to her, her friends at the SWI and the nannies. We also mailed out a big box of blankets, hats, mittens and cleft nursers after we heard that Guilin, Sophie’s SWI, was in great need of these things. It made my heart ache to think of little ones being cold and hungry this winter. Hopefully that big dog made it through customs and to the SWI. Many orphanages are in great need of cleft palate nursers and they are inexpensive, small and light enough to either carry over for a donation, or mail ahead to your child’s SWI. 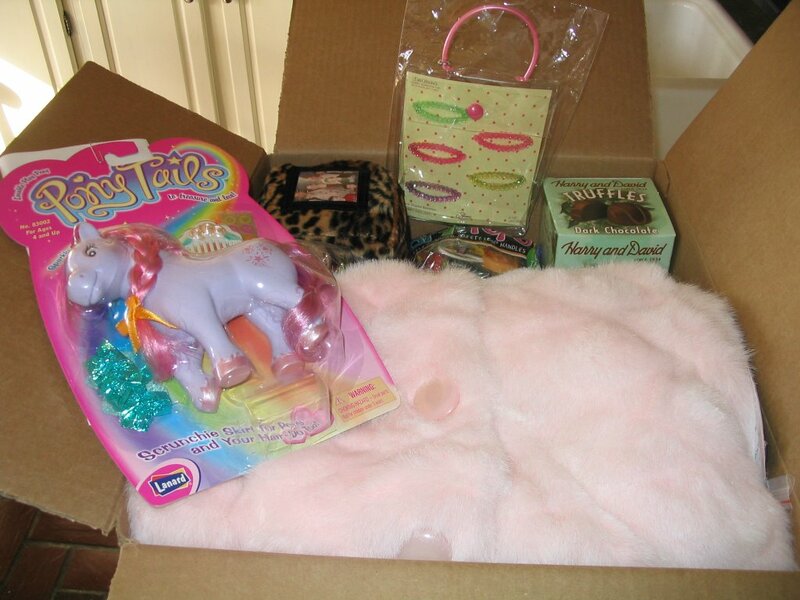 In Sophie’s box this month was a coat (for her or for any of the little ones who don’t have one this year), a box of 1500 stickers (I figured that might last for one afternoon), some barrettes and a comb, a box of truffles (for the nannies), a Pony Tales toy, some Saf-T-Pops for the kids and a photo cube with pics of the family. I really hope that her nanny does her best to prepare Sophie for what’s coming in the next few months. We are sure that Sophie is really attached to her nanny and will be so frightened to be taken away from everyone and everything she knows and loves.